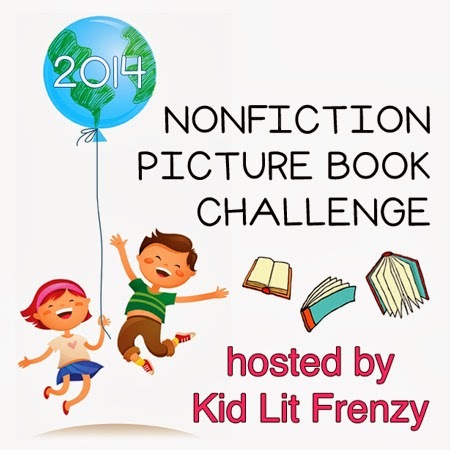 This entry was posted in Book Lists, Non-fiction, Nonfiction Picture Book Wednesday and tagged Alison Lester, April Pulley Sayre, Éric Puybaret, Carolyn Conahan, Chris Butterworth, Claire A. Nivola, Dan Yaccarino, David Elliot, Fiona Bayrock, Frank Serafini, Gary Blythe, Holly Meade, James Croft, Jamie Hogan, Jane Chapman, Janet Halfmann, Jason Chin, Jean Davies Okimoto, Jennifer Berne, Jim Arnosky, Joan Paley, Kate Nelms, Mark Estrella, Mary M. Cerullo, Molly Bang, NFPB2014, Nicola Davies, nonfiction, ocean, Pam Muñoz Ryan, Penny Chisholm, Steve Jenkins by carriegelson. Bookmark the permalink. It’s a terrific list, Carrie. I know we have some, but will send this on to our librarian too. I have a couple at home that I’ll share with you, but am at work now. Love the poetry of In The Sea, & personally will look for Winston of Churchill-looks great. Thanks for your time doing this! Thanks Linda. I have been finding so many titles as I started to think more about this theme and thought it would be nice to compile them in one place. 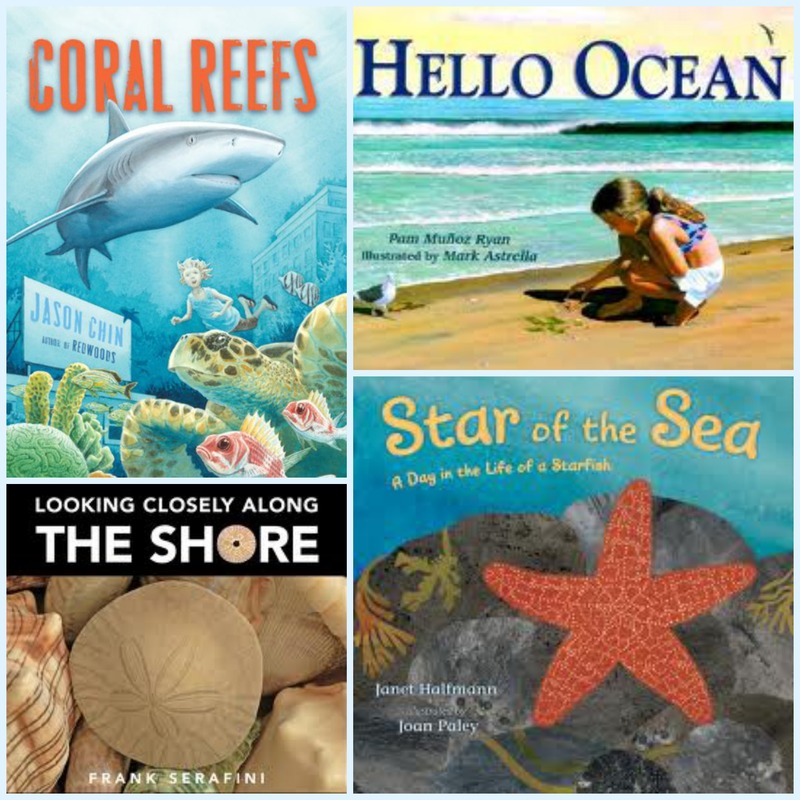 It has been a wonderful way for the children to learn more about oceans around the world and all of the amazing creatures that inhabit our seas. Wow! What a great resource this is for teachers. Makes me wish I did more with ocean studies. Great compilation Carrie! Thanks Gigi. Hope people find it useful. I have been using many of these titles in my classroom. It’s an older title but so much interesting information! I have a copy in my classroom collection. We love the way you organized this post. 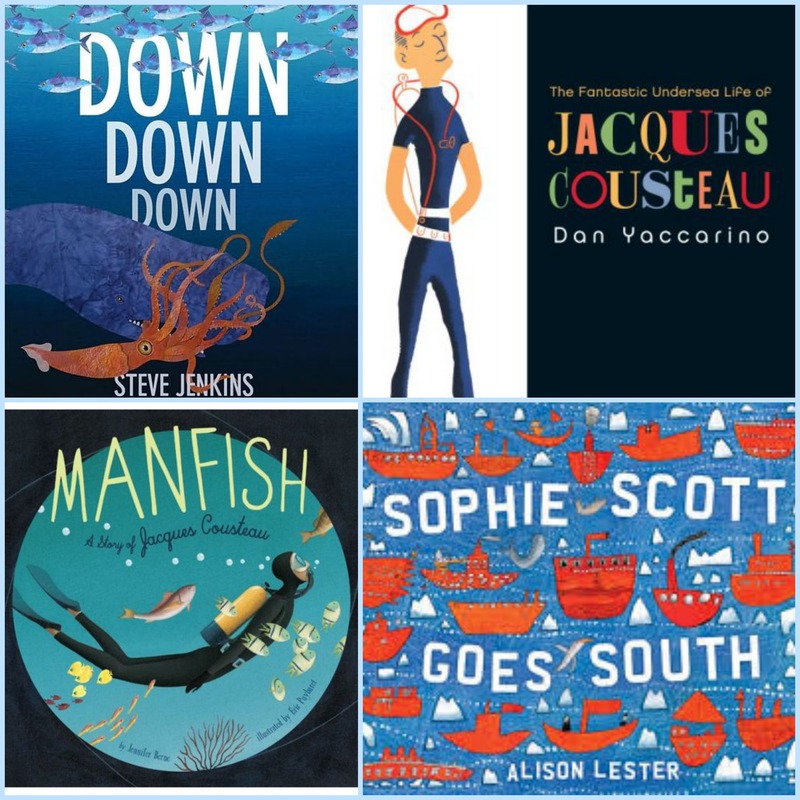 The text sets are such a great resource for helping students learn how to use multiple sources and understand different perspectives. Thanks for sharing! Thanks so much. 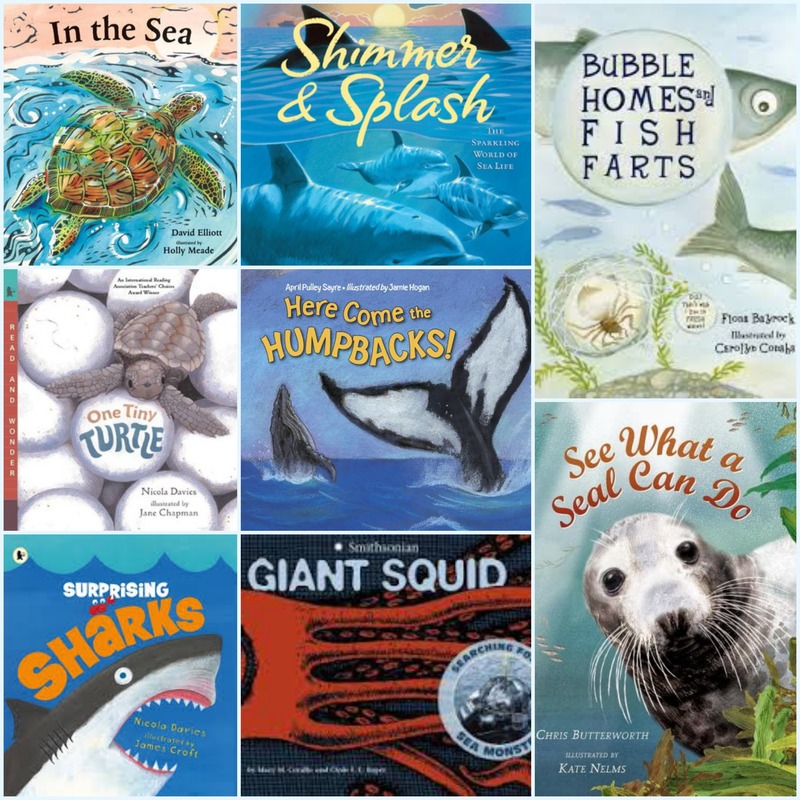 I just really wanted to share all of the wonderful ocean themed books I was discovering and collect them all in one spot. Wow, that is quite a list. 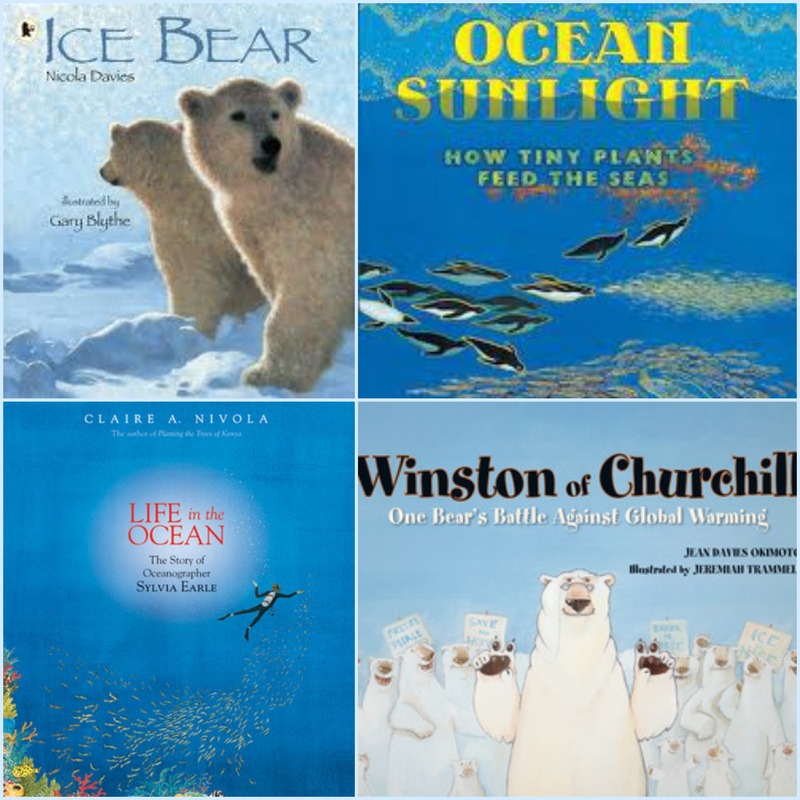 I had no idea so many picture books about the ocean were available. I love the ocean and the islands and everything about it. This is a terrific list. So pleased you enjoyed it. I hope you found some titles of interest.